I thought I had had my fill with turkeys for this year until I thought of this, and I had to do it! 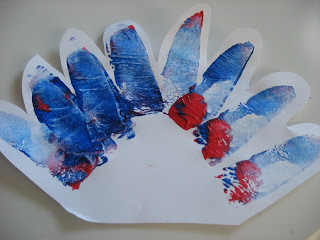 Feathers are not the easiest art material to use, especially for little fumbly fingers, this craft fixes that! Who needs feathers when you have a good ole potato? 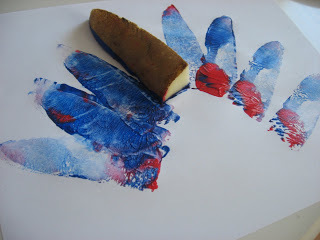 If you don’t like potatoes you can try sponges instead, both make cool feather like prints. Gather your materials. 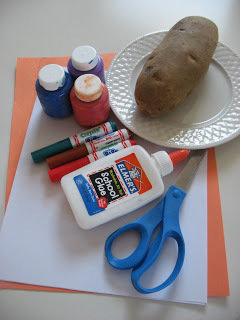 You will need 2 pieces of construction paper, one piece of white paper, 1 potato, paint, scissors , a plate, a knife, a marker and glue. 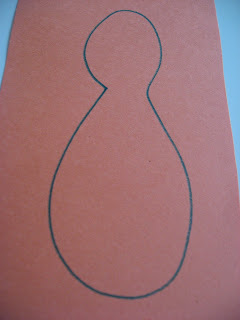 Start by drawing a turkey body shape ( think of a bowling pin) . 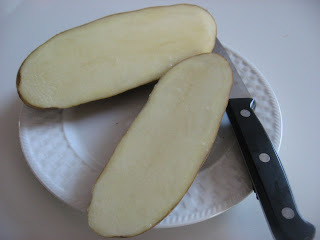 Cut the potato in 2 lengthwise. 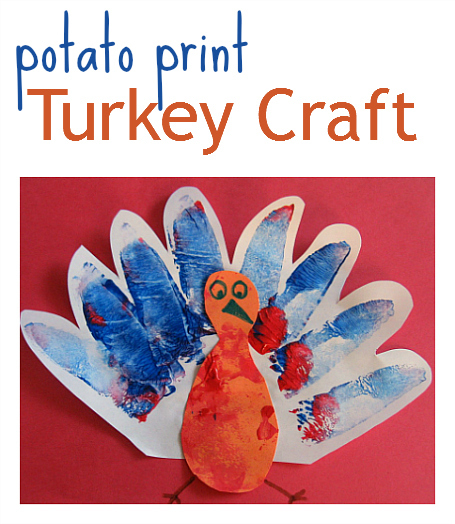 Have your child paint the turkey using the potato. Let dry. Next get out some pretty colors and using the fresh half of the potato, I had to cut my potato into a spear because it was too big. Start printing in a ark to make the feathers, my son at this point only wanted to do markers , but I can tell you if he had done it it would have been much more abstract, which is perfect! Let dry. 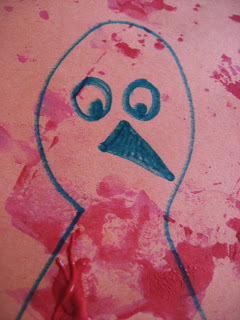 Cut the feathers out, here is where you can shape them into feathers if your potato prints were all over. 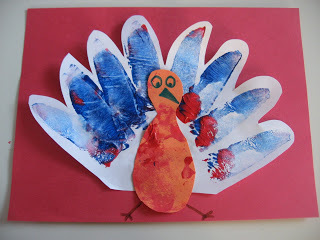 Draw a face on the turkey and cut out. 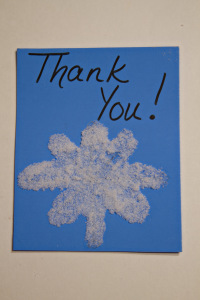 Glue the feathers onto the 2nd piece of construction paper. 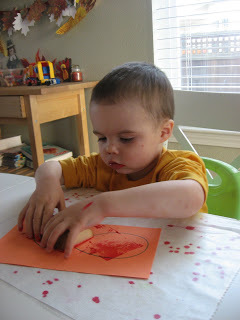 Glue the turkey body on and add some legs with a marker. 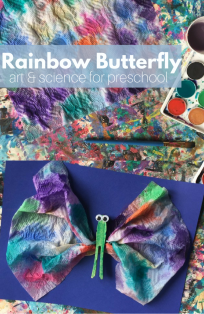 Previous Post: Parent and Tot Project ! What an unbelievably great idea! Thanks, we’ll try that today for sure!! 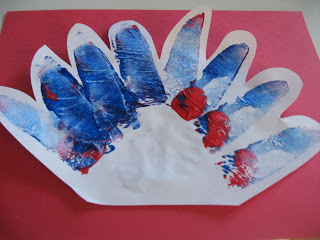 Now looking at the turkey and the red paint, it looks sorta morbid, ah well!